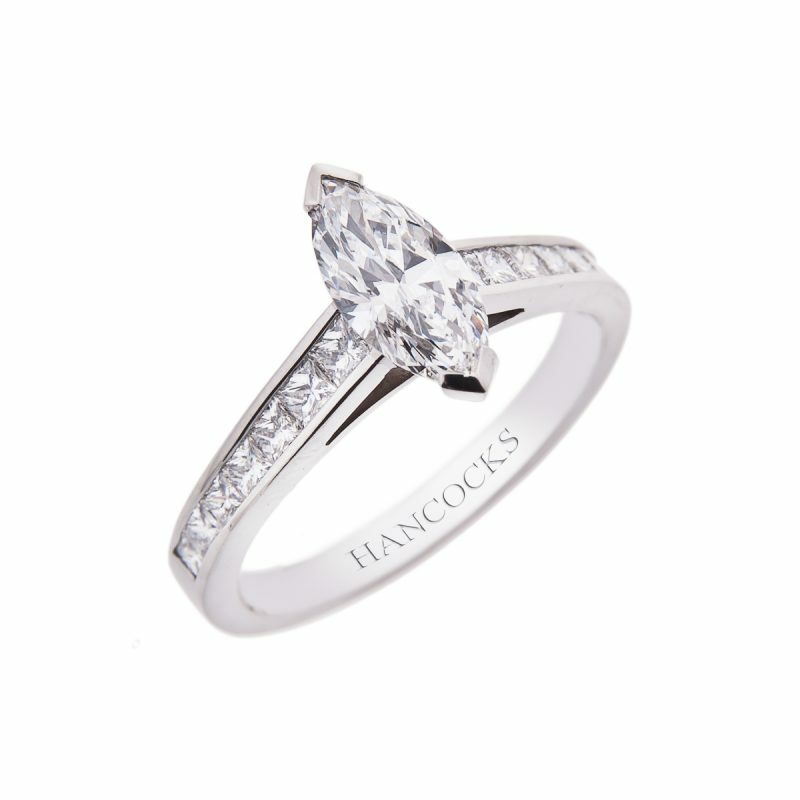 An extremely elegant and sophisticated design. 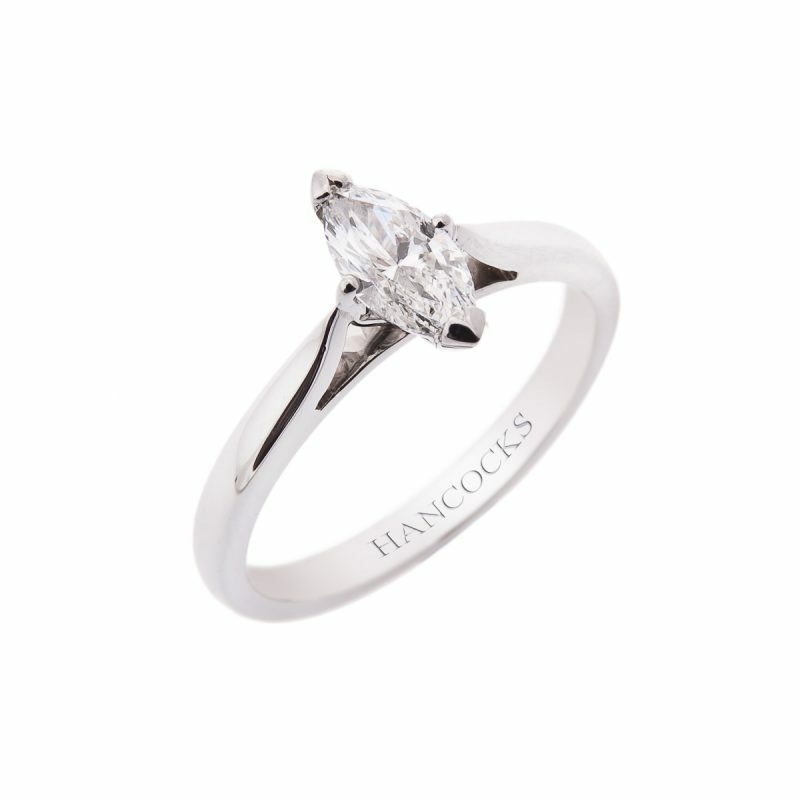 An exquisite 1.21ct marquise diamond set in a platinum V-claw setting with princess cut diamonds running down each shoulder, securely held in a polished channel. 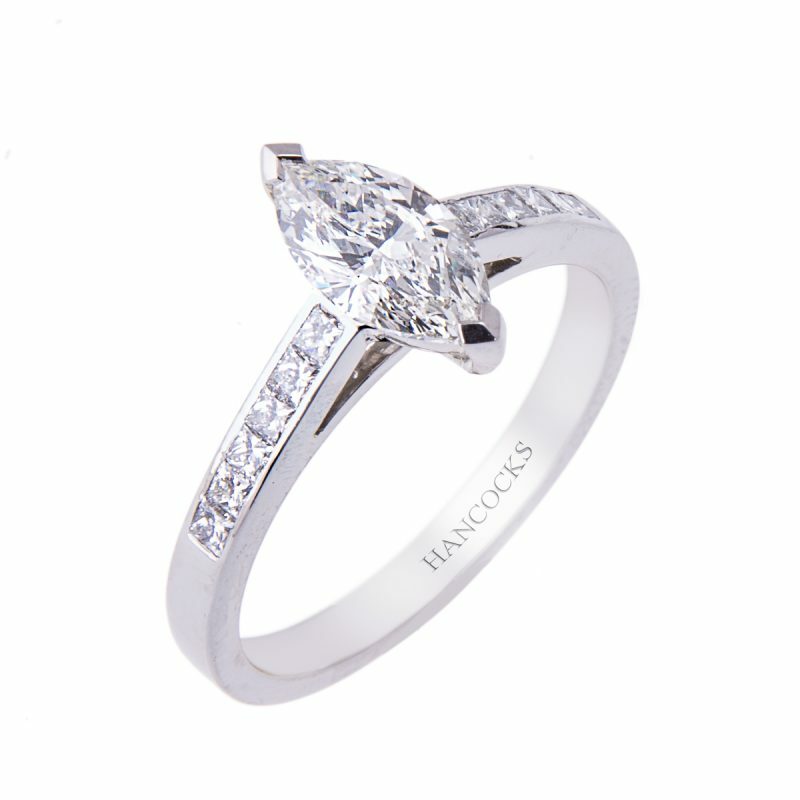 Its cleaver design allows any of Hancocks wedding rings to sit comfortably. This beautiful stone has been awarded the highest colour grade of D by the GIA, world leaders in diamond grading.